Not only does this update make the legendary AKAI MPC recording system available to anyone that uses any MIDI controllers but it also includes an arsenal of plug-ins and sounds: AKAI’s VIP 3.1 software, AIR Expansion Pack 3 Complete plug-ins bundle, 10 MPC Expansions and 4 MPC plug-ins. Over 20gb of sounds and software to put you ahead of the music producing game, available now on PROMO at the DontCrack Store. Redefining the creative vista and driving MPC X and MPC Live in standalone and controller mode is Akai Professional’s reimagined MPC Software 2.2; a cutting-edge production suite combining 128-track sequencing capability, real-time time stretching, clip-launch functionality, advanced MIDI editing capability, VST compatibility in controller mode, operation as a standalone application on Mac & PC, advanced sampling & audio editing/recording functionality, seamless DAW integration, a redesigned GUI and much more. 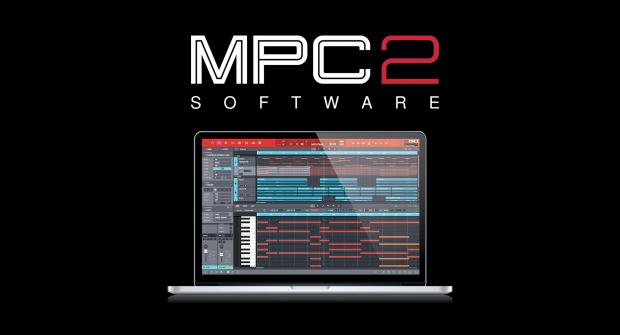 The new 2.2 update introduces a number of powerful production and performance features, including: Global MIDI Learn functionality – MPC’s desktop software can now be controlled by any external MIDI control surface including keyboards & pad controllers; Project MIDI Learn functionality – now MPC standalone and desktop software’s automatable parameters can be controlled by external MIDI control surfaces such as keyboards, pad controllers & MIDI mixers; Humanising functionality allowing users to randomize the timing or velocity of MIDI events for a truly natural, organic production experience; and, Random Event Generation, that when activated adds random melodic patterns and drum beats – the ultimate experimental and inspiring solution to spark new ideas or take productions to never before chartered heights. The first and only music software that enables you to control your entire VST instrument and FX library directly from any keyboard. Switch patches from all your VSTs in one place, instantly access pre-mapped plugin parameters for hands-on knob tweaking, customize pre-set loading from multiple VSTs using Setlists, and much more. An inspiring collection of twenty virtual instruments and progressive sound-design tools for the modern producer, composer and performer. These twenty instruments, ranging from breathtaking emulations of vintage gear, classic instruments and unique synthesis technologies, enable you to tap into familiar sounds or create something no one has ever heard before. The Vault, Hook City Trap n B Edition, Sound Mob, Vegas Festival, Melodic Horizon, Urban Roulette, Elements of UK Dance, Elements of UK House, Elements of Dystopia, and Elements of 2 Step and Garage. 809, The Noise, The Wub and The Bank. This entry was posted in DontCrack, Plug-ins, Promotions, Sounds and tagged Ableton, AKAI, AKAI Professional, Arturia, KeyLab Essential, Korg, M-Audio, Maschine Mikro MK2, MiniLab Mk II, MPC, MPC Live, MPC Premier, MPC Standard, nanoKONTROL, nanoKONTROL2, nanoPAD, Native Instruments, Promotions, Push 1, Push 2, Trigger Finger Pro. Bookmark the permalink.